The South West of England is the best place in the UK to see early spring flowers; the warmer climate sees plants start blooming in March, and throughout April and May. By late spring, the moorlands, coastal cliffs, woodlands and gardens are a vibrant array of colour. If you are staying at our luxury Cornish cottages in the coming weeks, we highly recommend taking a walk along the coast or through the countryside near our resort to see if you can spot some gorgeous wildflowers. Bluebells are one of the most widespread and easily recognisable flowers to see in spring, emerging from April onwards in woodlands and along hedgerows. Nodding blue flowers in a bell shape give the flower its name, and when there are hundreds of the flowers blooming together, they can carpet a woodland floor. Take a look at our blog on the best places to see bluebells in Cornwall. The primrose is another flower seen in woodlands, grasslands and farmland around the country, flowering throughout spring. The low growing plant has large textured leaves, and the flowers are creamy with yellow centres, clustered together. 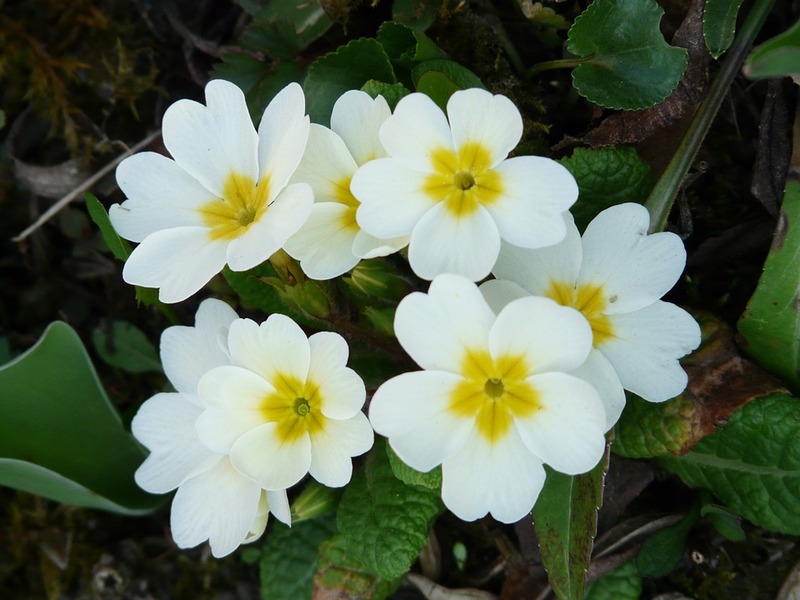 There are different variations of primrose, with different colours, but the wildflower seen in the British countryside is the common or English primrose. If you spot a violet in the wild, it is likely to be the common dog-violet. A common and widespread plant, it thrives in a variety of habitats from heathland to woodland. It flowers April to June and can be identified by the heart-shaped leaves and purple flowers. The dog-violet also has no scent; if you find a scented violet, it is the similar-looking sweet violet. The pink spikes of foxgloves can be seen from late spring in Cornwall and into summer, reminding us of sunny summer days. The flower can be seen in woodlands, gardens, roadside verges and coastal cliffs. 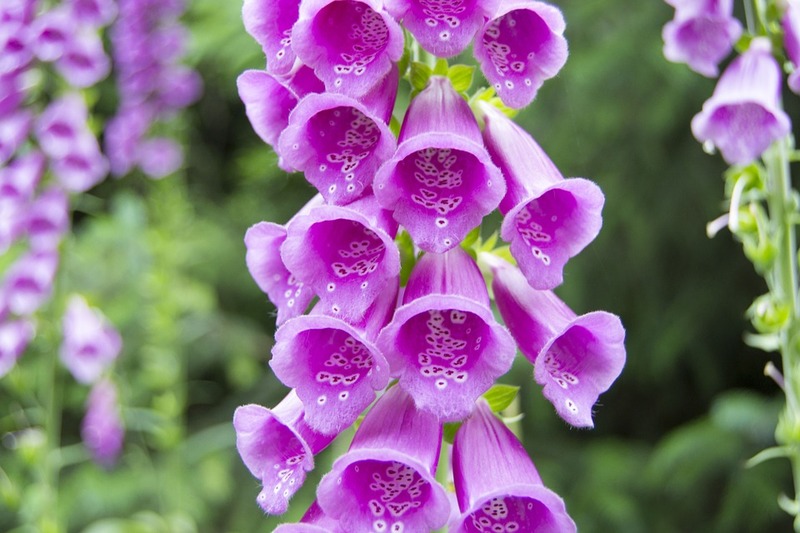 The tube-shaped flowers are easy to identify, and range in colour from a deep to light pink, purple and blue. They are favourites of bees too being an excellent source of nectar, and you are likely to see a honey bee or bumblebee buzzing around the flower. Thrift, also known as sea pink, is a common sight on cliffs, sand dunes and shingle beaches from April to October. The bunches of rounded, pink flowers have a similar appearance to clover, but with longer stems. They thrive on rocky ground, making them a welcome sight in spring when the cliffs are still in various stages of brown and grey. 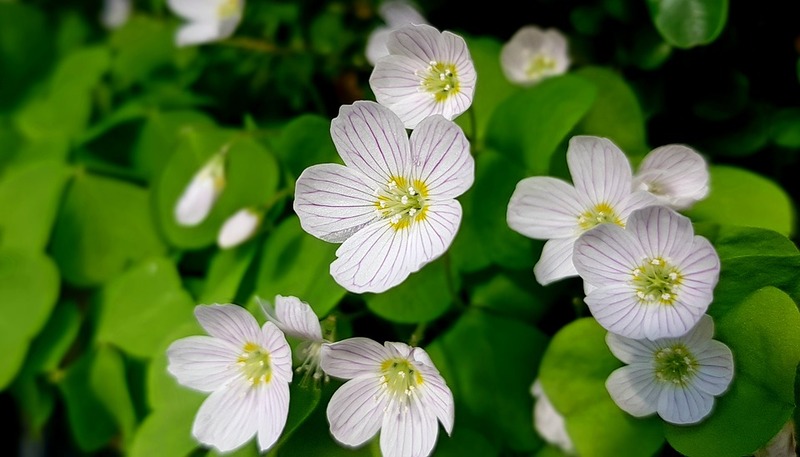 Wood sorrel is a common sight in woodlands during April and May, with the delicate white flower growing on fallen logs and in shady hedgerows. The white flower has five petals with tiny purple veins, which close up as the light fades. On woodland walks, keep an eye out for the small flower, as seeing them is an indicator of the place being an ancient woodland! In late spring, as the bluebells begin to fade, the pinky-red blooms of red campion brighten up woodland floors. The rose-red flowers have five petals with deep notches, and in certain places grows alongside white campion and may even hybridise. The flower is popular with butterflies and bees, so seeing it in bloom shows the woodland is thriving with wildlife. The bright yellow lesser celandine is a joy to see on woodland walks in Cornwall. Blooming from March to May, it is one of the earliest spring flowers and a food source for early insects. 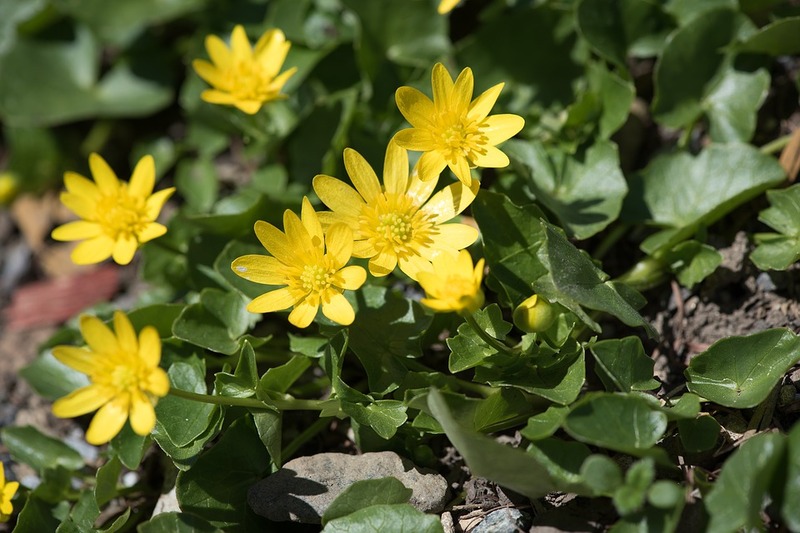 Growing low to the ground, the lesser celandine has star-like flowers and shiny heart-shaped leaves. 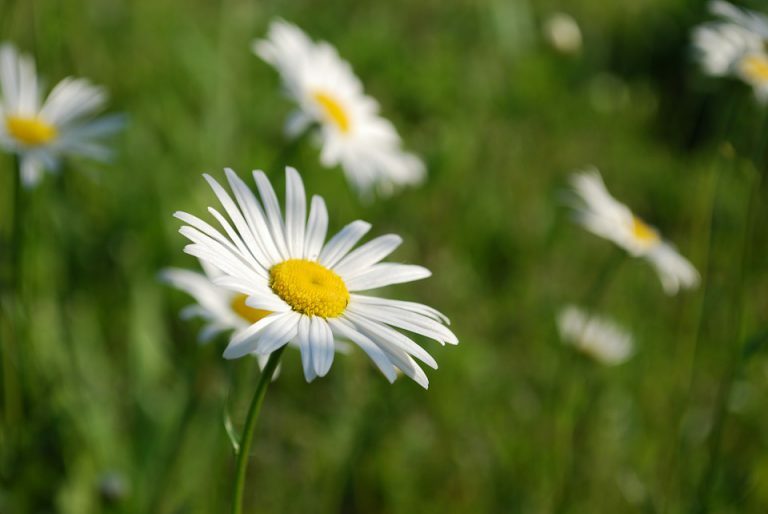 Daisies blooming on grass is a definite sign spring has arrived, and the larger oxeye daisy heralds the arrival of summer when it starts to bloom in late spring. The large round flower with thin white petals and yellow centre makes them easy to identify along grassy cliffsides and grassland meadows around Cornwall. Are there any spring wildflowers you love to see when out and about in Cornwall? We’d love to hear your stories! Don’t miss out on seeing the local area when you stay with us at The Valley, as Cornwall boasts loads of stunning landscapes to enjoy in spring and summer! You can see much of them in these short walks in south Cornwall.